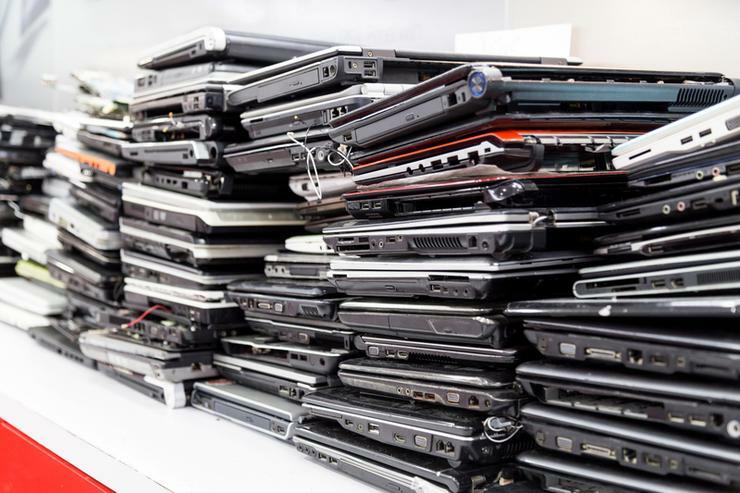 Worldwide PC shipments totalled 62.1 million units in the second quarter of 2018, a 1.4 per cent increase from the second quarter of 2017. 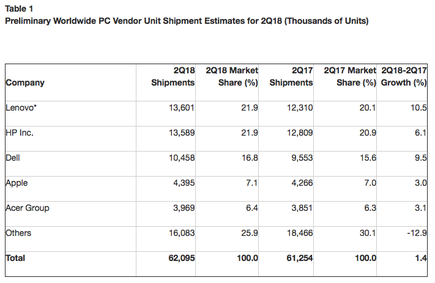 According to preliminary results by Gartner, this is the first quarter of year-over-year global PC shipment growth since the first quarter of 2012. “In the consumer space, the fundamental market structure, due to changes on PC user behaviour, still remains, and continues to impact market growth. Kitagawa said all regions experienced “some growth” compared with a year ago. While the results are a positive result for the PC industry, Kitagawa said this sign of market stability is not enough to declare a PC industry recovery just yet. “In the business segment, PC momentum will weaken in two years when the replacement peak for Windows 10 passes,” Kitagawa added. With the completion of Lenovo's joint venture with Fujitsu, three out of four PCs were shipped by the top five PC vendors in the second quarter of 2018. With the inclusion of Fujitsu’s PC shipments due to the joint venture (a formation of Joint Venture with Fujitsu), Lenovo was in a “virtual tie” with HP for the top spot in the second quarter of 2018 based on global PC shipments. Kitagawa said all of the top five PC vendors experienced an increase in worldwide PC shipments in the quarter. Staying within the vendor space, HP had its third consecutive quarter of year-over-year PC shipment growth. The tech giant maintained steady growth across all regions, except the US In the other regions, its shipment growth well exceeded the regional averages. Meanwhile, Lenovo experienced its highest growth rate since the first quarter of 2015. While Dell's competitors have shown PC shipment declines periodically in the past two years, the vendor’s shipments did not decline during this time because of its strong focus on growth areas, especially in the commercial segment, as well as cutting off unprofitable businesses. Closer to home, PC shipments in Asia Pacific totalled 21.3 million units, a 0.1 per cent increase from the second quarter of 2017. India, Indonesia, Thailand and other emerging markets in Asia showed improvement in the commercial segment due to demand for replacing ageing PCs and upgrading to Windows 10. In China, PC shipments declined 3.6 per cent year over year as some business procurements have been postponed to 2019, and the consumer market is saturated.